According to a new report RIM’s former co-CEO Jim Balsillie was attempting to reinvent the company as a network services provider before he and RIM’s other former co-CEO Mike Lazaridis were forced to step down earlier this year. Balsillie envisioned RIM partnering with mobile carriers to offer basic smartphone messaging and social network service plans at a fraction of the cost of traditional data plans. The most surprising part of this revelation is that Balsillie planned to offer these services on devices made by other manufacturers. As with many of RIM’s moves over the past couple of years, this highlights the identity crisis that developed within the company as its market share dwindled after the release of the iPhone and Android. According to Reuters, two company insiders described the “radical” plan as having gotten far enough along to involve discussions with major carriers in both North America and Europe. The sources said that the plan led to “discord at the highest levels” of the company. 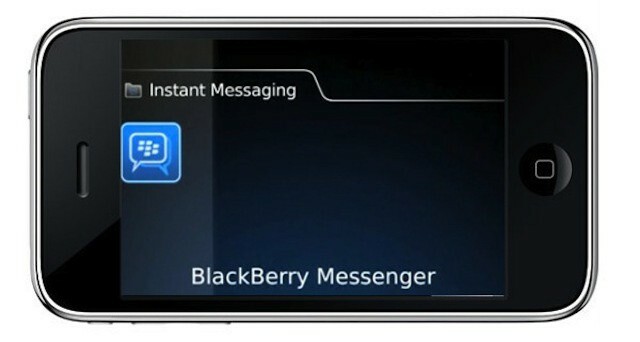 Under the plan, RIM would have provided access to its messaging infrastructure for basic smartphones that were a step up from traditional cell phones. RIM would provide messaging through the company’s BlackBerry Messenger (which, like Apple’s iMessage, has always been available on RIM devices) as well as its network’s data encryption and compression services, which would be used to offer “limited” social network access. RIM already offers similar entry-level plans for BlackBerries in emerging markets that significantly cheaper than standard data plans – they also represent RIM’s only real growth at this point. RIM’s network services, for which RIM charges access fees to users through their carries, is a big part of the company’s revenue. Trying to leverage it as as an asset separate from BlackBerry handsets would make a certain degree of financial sense. Of course, any faith that carriers had about the plan would’ve been shaken by RIMs repeated network outages last year. While it might have made some sense, the plan definitely illustrates the conflict within RIM as it tried to focus on business and government markets as well as building a reputation with consumers. RIM’s new CEO has handled that conflict by reframing the company’s focus on its core enterprise business.